In 2005, we saw Dover Boys’ Grammar celebrating their centenary and in 2010, the Dover Girls’ Grammar School celebrated theirs. They, like East Kent College, can trace their origins back to the old Technical School building in Ladywell and its founder, William East. Secondary education in the town started life in part of what had been the Ship Inn on Custom House Quay (Snargate Street side of Granville Dock) in the Pier District in the mid-19th century. A few philanthropic locals set up the Dover School of Art where basic secondary education was provided for paying sons of local tradesmen. It did not stay there long and eventually moved to Marine House in Liverpool Street (since demolished), where it stayed until 1873. The school then moved to Eastbrook Place until what had been the racquet court, in the upper floor of the Drill Hall in Northampton Street (now part of De Bradelei Wharf car park) became available in 1876. That year the school had 171 fee paying boys but the total income for they year was only £263. Due to lack of facilities, lack of a head teacher and heavily stretched teachers, the results were poor. 112 students submitted 2,433 pieces of work for public examination but only 24 passed. With a permanent site being made available, although not ideal, the governors planned to change the name of the school to the Municipal School of Science and Art. The Dover Harbour Board owned the ‘new’ school premises and part of the deal was that a professional art teacher would be appointed the headmaster. William East, from a Yorkshire family applied and not only did he have good references but had exhibited at the Royal Academy of Arts in 1896-97 and was the elected Chairman of the Society of Art Masters! With the new headmaster in place the school retained its old name but was officially opened by the Earl of Granville, the then Lord Warden. 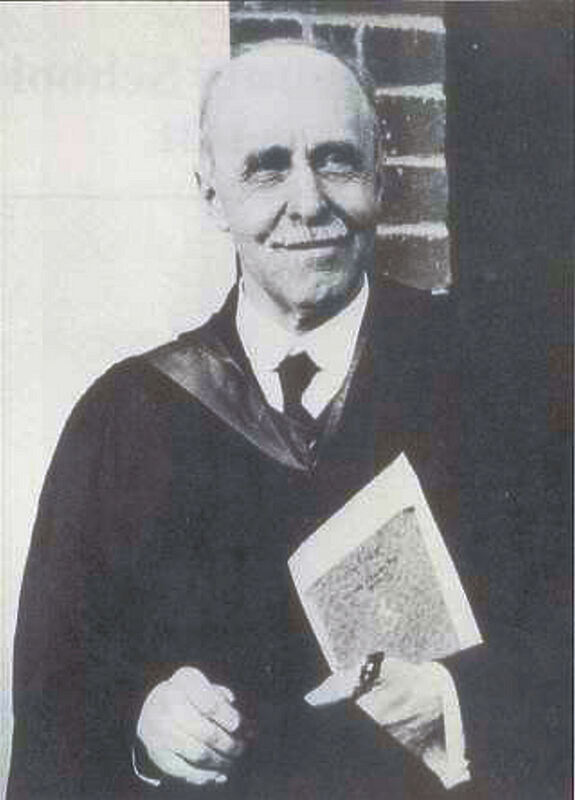 William East turned the Dover school into one of the most highly acclaimed institutions in the county. Under the Technical Instruction Act of 1889, local councils were given power and loans to supply or aid supply of technical or manual instruction for senior students. The Corporation took over the School in 1892 and William East persuaded them, using the Act, to build a purpose built combined Art and Technical School. The Corporation borrowed £11,000, repayable over thirty years and purchased land in Ladywell for £3,000. 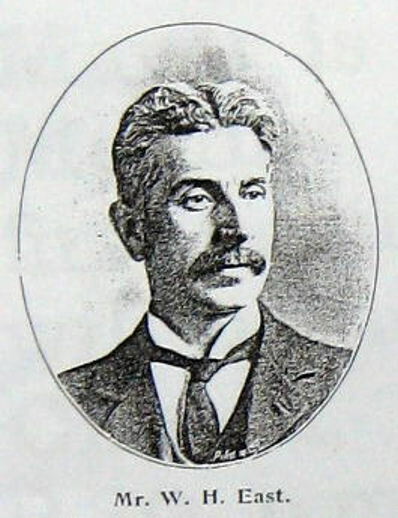 J.S.Chapel, the Architect of Connaught Hall, drew up the plans and the building contract was given to William Bromley. 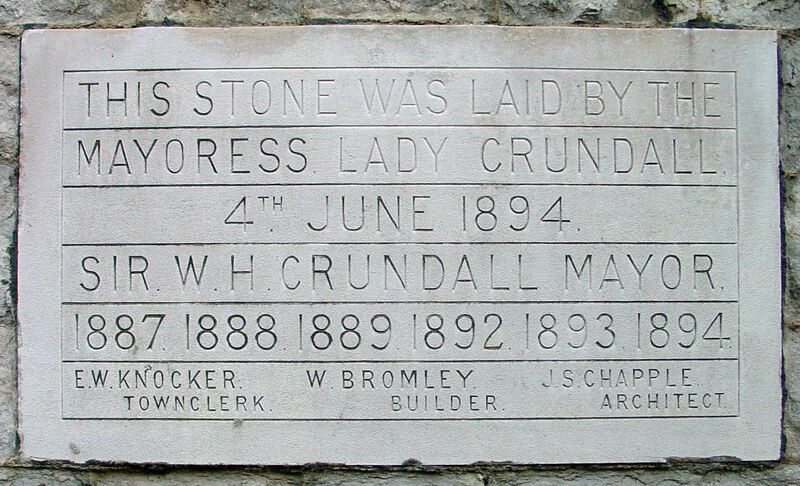 On the assurance that William East would be the Principal, Kent County Council (KCC) gave a grant of £12,000 and in June 1894, the wife of Sir William Crundall, Mayoress of Dover, opened the school. The style is that of the English ‘Arts & Craft’ movement and the council were proud of its distinctive features both inside and out. Subsequently, these ensured its Listing. In the subjects available, the education that the boys received was on par with that of the nearby public school, Dover College. Further, in the field of art, the results out-shone all other schools of its type. In 1903, five students were successful in obtaining scholarships to the Royal College of Art and many others exhibited at national acclaimed salons in both London and Paris. One of these students was Reginald Goulden – designer of the Dover’s War Memorial. On the back of this success, William East put forward the case for providing secondary education for the more academic Dover boy. However, Dover College was seen as perfectly adequate in meeting these needs particularly as they provided scholarships. There was also concern about keeping the rates as low as possible. Albeit, at the time the Education Bill was going through Parliament. This strengthened William East’s argument and in 1902, he was allowed to set up a Municipal School for Boys in the basement of the Ladywell premises. The following year the Education Act was passed and KCC was given a grant of £25,000 a year from central government for the county’s secondary education. In preparation, the Municipal School for Boys was renamed the Dover County School in 1905 and Fred Whitehouse was appointed as headmaster. The ‘County’ status had to be designated by KCC and if achieved there would be grants available under the Education Act. To gain the status it was necessary to provide secondary education of the standard demanded to both girls and boys in the area. At 2-3 Effingham Crescent was the St Hilda’s Dover Pupil Teacher Centre, which provided ‘domestic’ education for local tradesmen’s daughters. St Hilda’s agreed to be incorporated into the application but KCC refused. In 1907 new legislation set a standard curriculum for both sexes attending County schools and required 25% of pupils to be given free places (scholarships). These children had to be drawn from local elementary schools. Dover fit the bill in every respect, so William East and Fred Whitehouse, along with a delegation of local councillors, again sort County status from KCC but again they were refused. 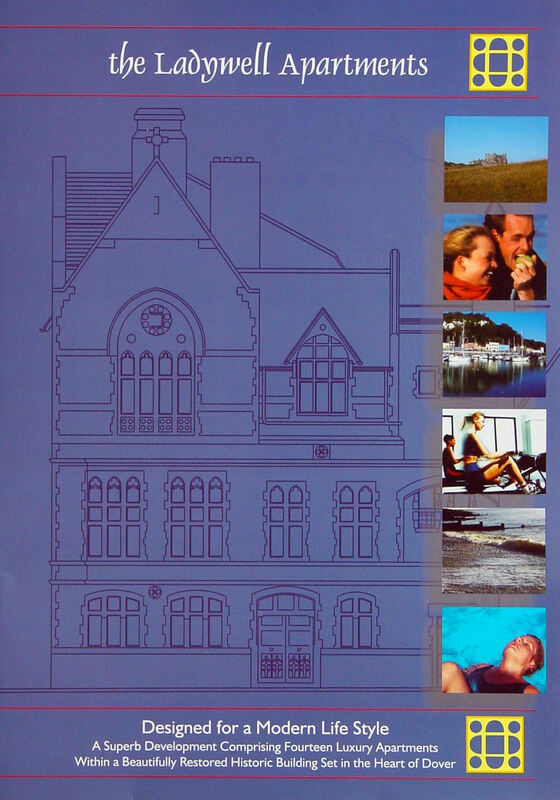 A tome of acrimonious legal arguments between Dover council and KCC ensued, during which time the governors and parents of St Hilda’s openly joined forces with the Dover contingency but KCC would not be moved. Instead, they only gave the town grants sufficient to cover the Art and Technical school, to comply with the Act and suggested that the more academic pupils could go to Folkestone or Canterbury. The Boys’ school remained in the basement of the Ladywell premises and some girls were admitted but all the pupils were either fee paying or charity students. Pressure continued and in 1910 KCC, capitulated giving both the boys’ and St Hilda’s County status. 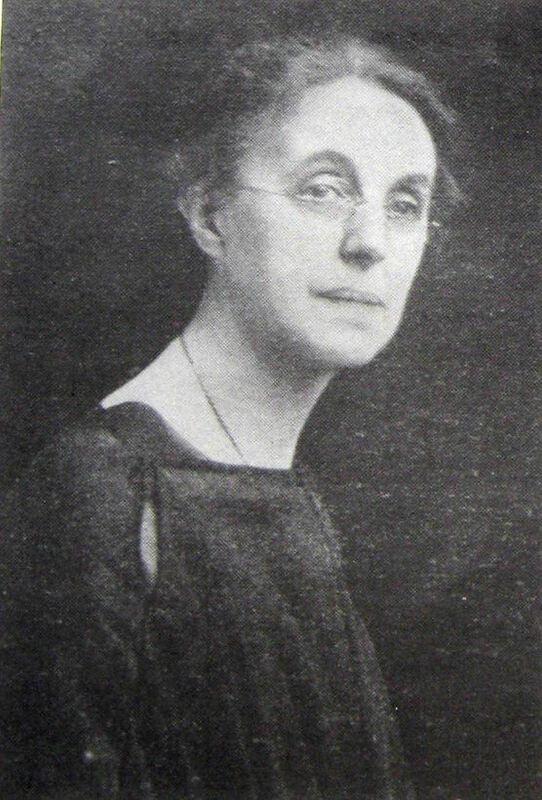 They also appointed Miss Chapman as headmistress of the girls’ school. What happened next is the subject of other stories suffice to say that eventually the Boys’ and Girls’ County schools eventually moved to purpose built premises and are still in existence as Dover’s two Grammar schools. The Technical and Art schools separated and these days their present successor known as K-College and housed in a relatively new building the main entrance of which is in the Paddock. The purpose built combined Art and Technical school on Ladywell closed and was sold to property developers Raylion in 2003. They planned to turn the building into flats but the firm left its last registered premises in 2006 with no forwarding address. In recent times, a fitness centre has opened on the ground floor of the grade II Listed building and the hope is that it will soon be fully occupied again. This entry was posted in Local Government, Secondary Education in Dover - the Start. Bookmark the permalink.